In Sheep’s Clothing (1996) reveals the aggressive, undercover agenda of manipulative individuals, whose covert tactics would otherwise remain hidden. 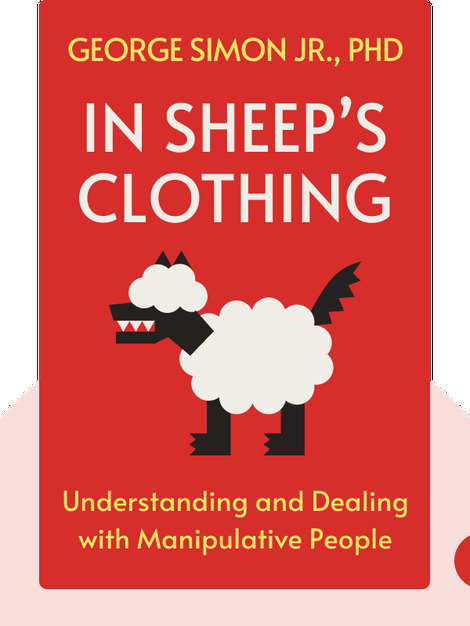 These blinks offers you tools to become aware of, prepare for and deal with the tricks used by manipulative colleagues, family members and friends. 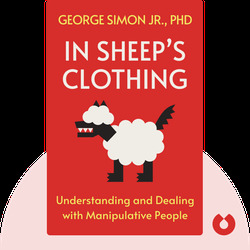 George Simon Jr., PhD is a clinical psychologist from Texas who has spent the last 30 years studying the behavior of manipulative personalities and counselling their victims. He is also the author of Character Disturbance: the Phenomenon of Our Age (2011).